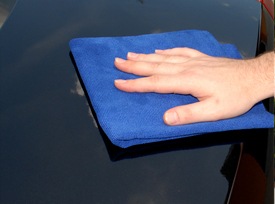 Preserve your vehicle and your detailing clay! Pinnacle XMT Speed Clay Lube is an ultra slick lubricant formulated specifically to enhance the performance of detailing clay. The lubricating spray blankets your vehicle in polymers and lubricating agents to prevent scratches. Pinnacle XMT Speed Clay Lube works with Pinnacle XMT Speed Clay to prep your vehicle for a flawless finish. The secret to detailing clay's safe, non-abrasive performance is the clay lubricant. Pinnacle XMT Speed Clay Lube is designed to surround and suspend dirt particles to protect the paint from scratches. The lubricant provides a liquid cushion between the clay bar and the paint, where the clay bar can glide over the paint easily. Detailing clay works by mechanically removing visible and invisible contaminants from the paint. As it glides over the finish, clay grabs impurities and traps them within the clay. By using Pinnacle XMT Speed Clay Lube, this process is totally safe and non-abrasive. Cleaners try to dissolve impurities with acids. Polishes contain abrasives that may not be necessary. 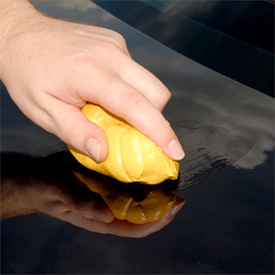 Only detailing clay removes paint contamination safely and quickly with no harm to the paint. Pinnacle XMT Speed Clay Lube was developed to work hand in hand with Pinnacle XMT Speed Clay. Some soaps are highly alkaline and can dry out the clay. Therefore, soapy water is not a suitable substitute for clay lubricant. Use Pinnacle XMT Speed Clay Lube to maintain the clay's flexibility. 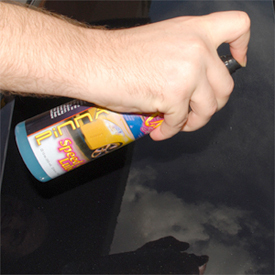 The water-based lubricants will not dry out or deteriorate the clay bar. A light mist of Pinnacle XMT Speed Clay Lube onto the clay bar before storage will keep the clay soft and supple. Nothing cleans your vehicle like detailing clay. Use Pinnacle XMT Speed Clay and Pinnacle XMT Speed Clay Lube to prepare your vehicle for the ultimate, clean shine.